Located in Katy, Texas, Atlas Glassworks takes great pride in providing safe, efficient, quality products to those customers who have chosen our company for their laboratory and scientific glassware needs. We hope our new customers will also come to trust in our glassware experience. We are dedicated to producing quality products that are consistent with regulatory requirements for Laboratory Glassware apparatus including Environmental Glassware. We also specialize in repairing damaged glassware efficiently and cost effectively. 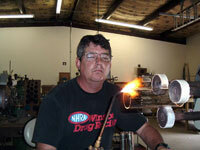 Our master glassblower has over 30 years experience in providing quality services and products. 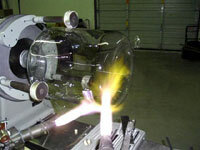 Whatever the challenge, our glassblower can create new apparatus or repair your damaged laboratory glassware. Should we be unable to repair your damaged glassware, we will inform you immediately and quote a cost for replacement. If you are inquiring about new glassware, please contact us with the specifications and we will be happy to quote a price.